The past few days have been rather wet & miserable around these parts. So to preserve everyone's sanity. we've been busying ourselves with a spot of arty play. 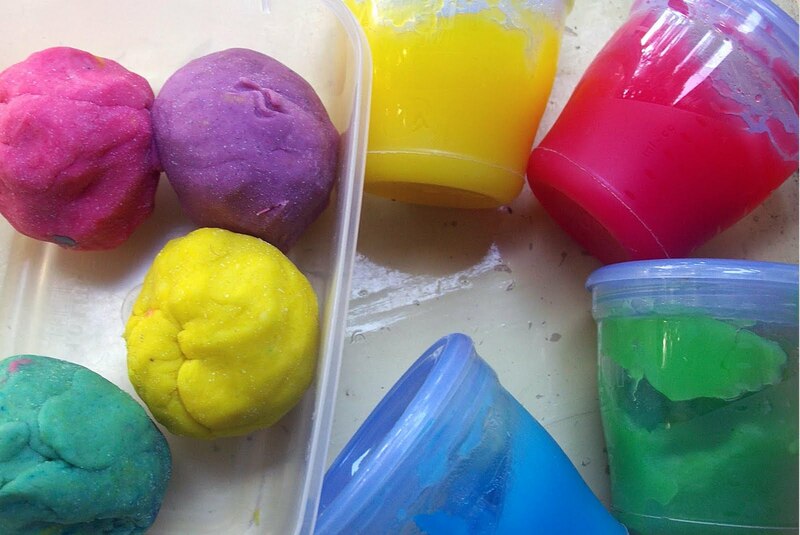 Homemade fingerpaint & playdough are very easy to make, with the added bonus of being cheap. I love the fact that I know exactly what is in them, so they're safe for little hands (& mouths, although they're not at all tasty). 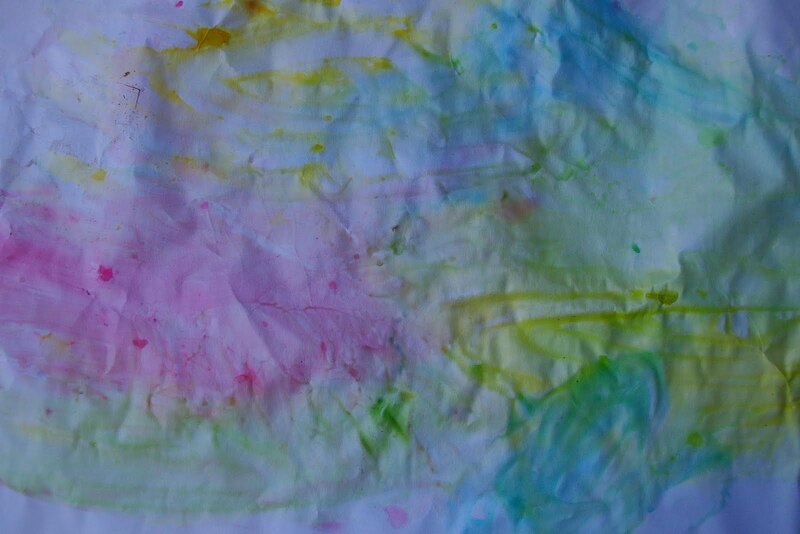 Huckle loved the finger painting, getting messy is right up his alley. 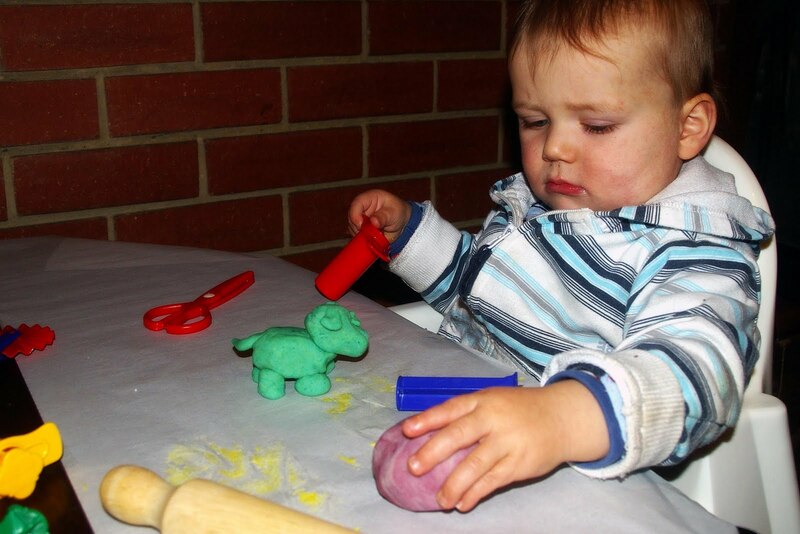 He was a bit unsure of the playdough & prefered to just wack it with whatever tool was on hand. But lot's of fun was had & it was a good way to distract a crazed, house-bound toddler. I'm putting together a little art station, so we can create together on a daily basis. So far I have these two, plus drawing supplies. Do you have an art box? I love to hear your ideas for arty play. Here's the recipes I used, if you'd like to make your own. I'm unsure of their origins, but I think they're from a teachers resource. Mix the water & flour to a paste, add salt & cream of tartar. Stir over medium heat until thick. Allow to cool before adding dividing into quarters (or however many colours you'd like). Add colouring & 1/4 of the oil to each portion & knead until smooth. Store in an airtight container. Mix over gentle heat until smooth. Divide into containers & add colour. 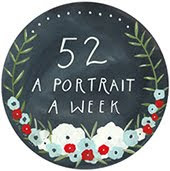 There are so many recipes to be found, I've pinned a few on pinterest for future makings. Next batch I'm going to try some natural dyes for playdough & some milk based finger paints. The sun is out, so we're off to make the most of it. Have a happy friday! We have boxes full of stuff for crafting with...anything that can be used gets kept. Great recipe, the oil looks like it makes a real difference, thanks for sharing...but what really made my day is the use of the Avent containers. In our house they have been reused for all sorts of things.